Yesterday I felt like a SUPERSTAR! Seriously. all it took was a little messing up first! 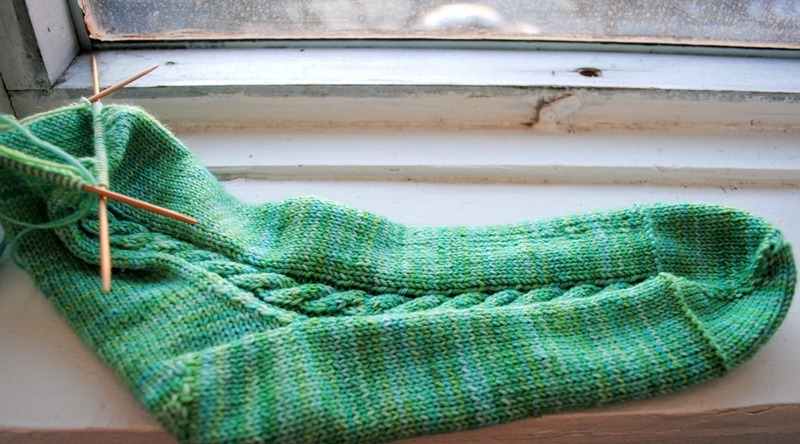 You see, there is this amazingly beautiful (its totally the yarn, art-by-Ana sock garden) sock on my needles right now. It goes with me wherever I venture, which is mostly hour long bus rides to and from work. I’ve made huge progress on this thing in the past two weeks for NEVER touching it at home. Well I guess maybe i shouldn’t have been knitting on the bus at 6 am the previous day because I miscrossed a cable! The horror! The worst part was that I did not notice until TWO cable repeats after. That’s like 14 rows people. So on the way home I made a decision. 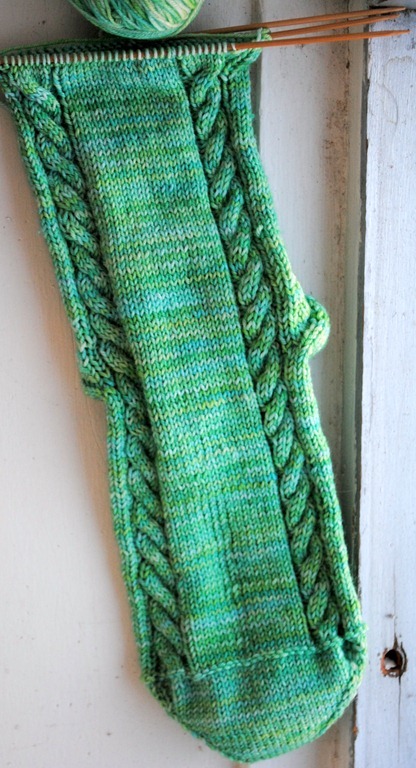 I was going to isolate those 6 cable stitches and go back the fourteen rows to fix the cable. Oh yes I did. On the bus. It was scary and I kind of felt regret when I first ripped it out. I mean that’s 6 stitches, down 14 rows. I’ve dropped down to fix mistakes before, sure, but only 1 stitch at a time, and a few rows down usually. This was…more daunting? All the strings were all crimpy and wiggly and all OVER the place! In the end though, I did it! 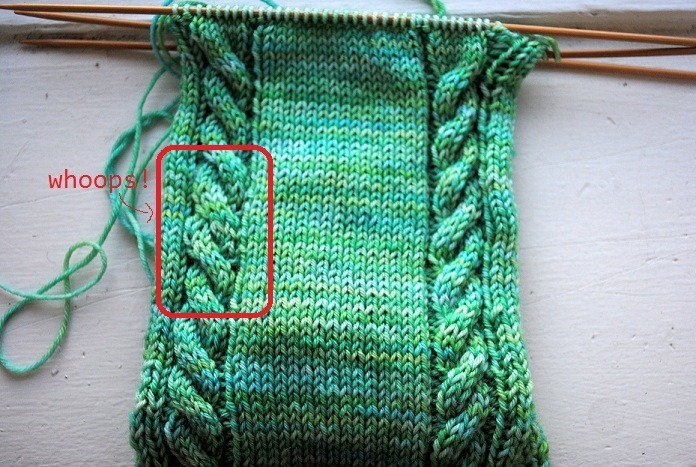 I think I maaaay have made one cable repeat 5 rows and one 7 instead of both 6, but in the end, it’s WAY less noticeable than a cable done wrong. I just wish I took a “before” picture. That was a little too much for the bus ride though. And it only took 1 bus ride to fix it. You can see the stitches look a BIT uneven from it (wider) and i swear the very bottom one is the box must be only 5 rows long. but I’m hoping it will block out. Either way, I’m impressed by myself. I was really wishing Chris was a knitter so he would GET how epic it was. Alas, I just told him “I did something REALLY awesome today. what was it? Oh…um…just trust me. it was super cool”. So that’s my WIP. I hope yours were less…trying. But equally rewarding! I’m heading over to Tami’s ami’s to check them out! Ps. the pattern I’m following is Cabley Goodness.